Pomellato celebrated the 30th anniversary of its mascot Orsetto with a campaign featuring Italian icons Anna Dello Russo and Margherita Missoni playing with the iconic teddy bear. 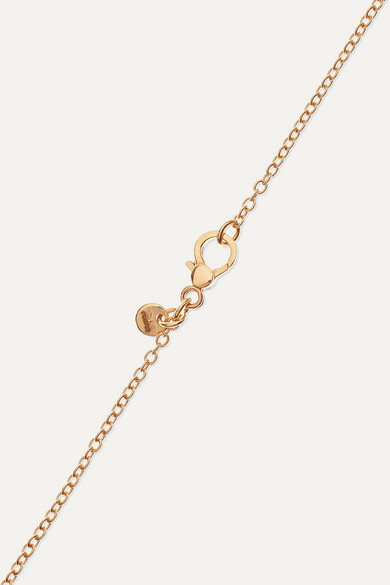 Hand-cast from 18-karat rose gold, this small version is polished for a high-shine finish and strung on a delicate chain. Wear yours solo or layered with similar styles. Shown here with: Peter Do Shirt, Max Mara Pants, Pomellato Necklace.